You may not be able to predict when or how much snow will fall this winter, but one thing is certain: the snow will fall. When it does, it could disrupt your business operations, causing loss of revenue, time and energy. Clearing the snow and preventing ice on your property is important to keep your business, employees and customers safe. During the summer and fall, we build a list of customers who have arranged for snow removal ahead of time. Those customers are guaranteed to receive timely, professional snow removal, as opposed to those who call when the snow is already falling. We do this because it allows us to hire the right number of snow removal professionals ahead of the season. It also lets us to observe your property so we know the best way to clear it, where to store the snow and what additional services you may need (such as salting or snow melting). Planning early gives you advantages as well. Signing a contract now gives you time to thoroughly vet your service options, guarantees that you will be served all winter long, and gives you peace of mind for the months to come. You'll never have to worry about what will happen when a winter storm hits. We'll be on the scene to plow your property, shovel your sidewalks, and keep your business accessible and safe. We would love to give you a price quote before the end of the month. We serve all of PA, OH, VA, WV, MD, DE and NJ. 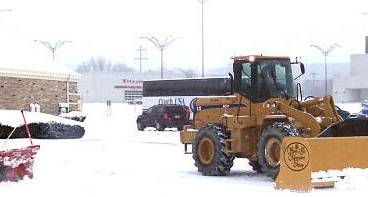 Contact us online or call us at (855) 766-9423 to discuss your commercial property's needs for snow removal in 2017 and 2018.